Welcome to the first issue of the year. Thanks for subscribing and our best wishes for a prosperous and healthy 2018. On the subject of the new year, we've a guest article this month by Kathryn Curzon on her top ten diver's resolutions. We've also a reader's plea for where to dive with unbleached coral - any suggestions? The Red Sea is unaffected by recent coral bleaching events and still offers special diving from beautiful wild drifts to pottering along with turtles. Out in the Atlantic, 876 km west of Casablanca, Madeira is waiting. With its benign climate there is year-round diving and sperm and pilot whales a common sight. My Dad, John Clarke, died diving for Comex on 14th October 1974. I was 2. I'm trying to find archives of the incident as I know almost nothing of my dad. Where to Dive with Unbleached Coral? We just returned from a 10 day tour of the upper Maldives reefs. All the coral is DEAD. Gray and brown. Coral bleaching has wiped it out. The mantas and fish still seem to be strong but otherwise the whole trip was a bust. I have been diving for 30 years. I did the Great Barrier Reef in 1987. It was stunning. Unbelievable. Now, everywhere we have gone (maybe excepting the Red Sea) has been bleach beyond recognition. Still, we will not give up. Do you know of a great place with live coral? Please advise me. Can anyone help Dean or Bret with information? Email news@scubatravel.co.uk and we'll pass your message on - thanks!. With the New Year here, it's time to get those resolutions underway. Traditionally a time to set personal goals, what better way to begin next year than by planning adventures, pledging to help others, and learning new dive skills? The festive holidays are a great time of year to step back and go through dive kit, checking everything is in working order. Equipment services can be scheduled in a calendar for the coming year, and you can create a kit of spare parts for new adventures, such as O-rings and mask/fin straps. It's also a good time of year to keep an eye open for festive sales and upgrade old equipment at bargain prices. To get the most out of diving, and to enjoy more challenging dives, it's worth investing in a good level of scuba fitness. Swimming regularly, especially ocean swimming, will help build stamina and also confidence for open-water dives. 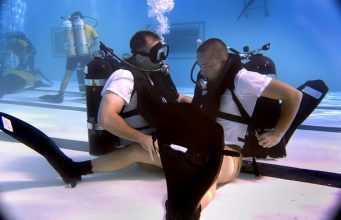 Yoga is great for improving breathing techniques, both on land and underwater, whilst Pilates builds a strong core to support divers carrying their own gear. It also helps prevent back injuries, keeping you active and hopefully injury-free all year. For divers in the middle of winter at New Year, it's still a great time to practice those dive skills. 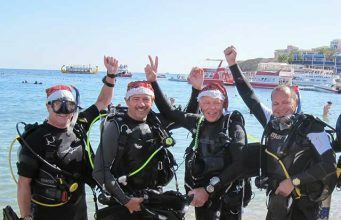 Get to know local dive clubs and spend time in a swimming pool honing dive techniques, whilst making new friends for the coming dive season. As with any sport, muscle memory is key and can improve dive safety in an emergency when quick and calm reactions are required. Blue Mind, a book by Wallace J Nichols, explains how being near, in, on, or under water can make us happier, healthier, more connected and better at what we do. We can't always be in the water, but we can cultivate that sense of calm with regular meditation. Why not combine that with a commitment to spend more time by (or preferable in) water whenever possible. 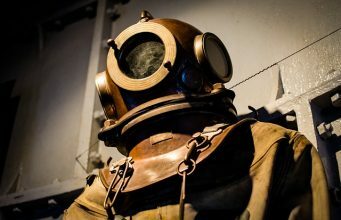 Meditation is not only good for finding inner-peace, it's also a great tool for anxious divers overcoming dive-related fears and for improving breathing techniques for great buoyancy. 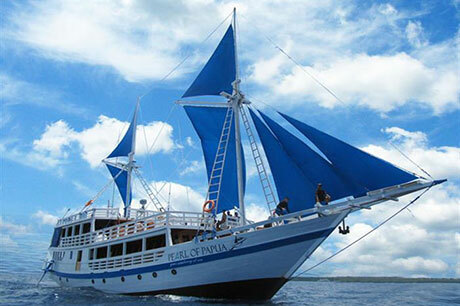 PADI has consumed the Diviac liveaboard booking agency and now offers "PADI Travel". The best price guarantee remains. Four underwater shots are in the shortlist for the People's Choice Wildlife Photo of the Year. Anyone can vote amd you have a chance to win a book of all the winning photos in the competition if you do. Researchers surveyed more than 500 visitors to an aquarium shark tunnel to understand how attitudes to sharks and government shark policies can change. Read stories and try dishes served up by a gathering of some of the great and the good of the scuba diving world - that's what Simon Pridmore's new diving cookbook promises. Explorers, record-breakers, innovators, designers, entrepreneurs and raconteurs all compete for your attention and taste buds in this first volume(!) of diving story cookbooks.